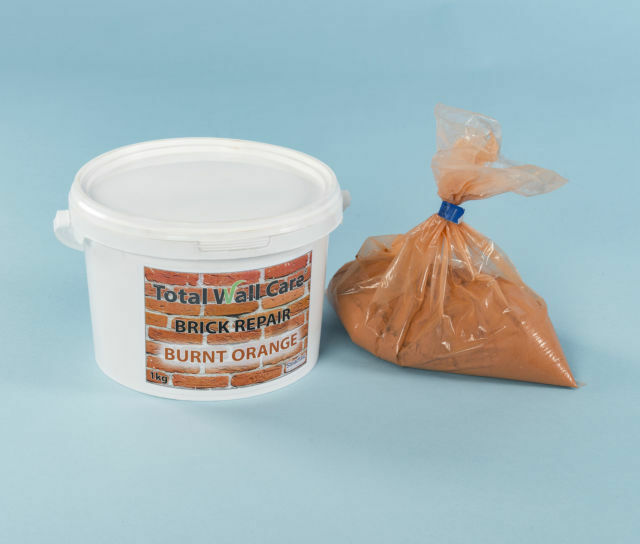 Lime-based Burnt Orange Brick Repair Mortar that is designed to restore chipped, spalled and frost-damaged brickwork. Brick repairing mortar for making good chipped or damaged brick faces on Brown coloured brickwork. Classic Plum Brick Matching Mortar is designed to restore chipped, blown and frost-damaged brick walls. Old London Red brick repair mortar is a lime based product that restores chipped, spalled and damaged brick surfaces. Brick Repair Mortar is lime based. It is ideal for restoring chipped, spalled and damaged Old London Yellow bricks. Brick Repair Mortar that is designed to restore chipped, spalled and frost-damaged black-coloured brickwork. Repairing damaged face bricks with colour matching repair mortar is more cost effective and much less disruptive than replacing them. Our brick-coloured repair mortar offers a quick and simply way of improving the appearance of damaged brickwork. This mineral based brick-matching repair mortar is designed specifically for the restoration of damaged brick surfaces. The brick repair mortar is vapour permeable. It allows salts and moisture to migrate freely to the surface to resist salt expansion and freeze/thaw spalling at the brick face. The brick-coloured repair mortars have excellent bonding charac­te­ristics. Each colour matched compond has been specifically formulated to be compatible with oven-fired masonry units to provide a robust, long-lasting and natural brick finish.